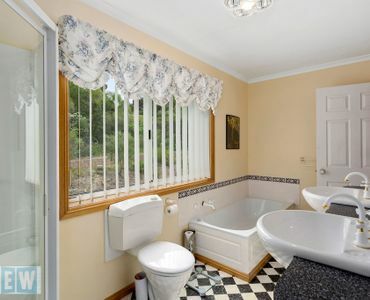 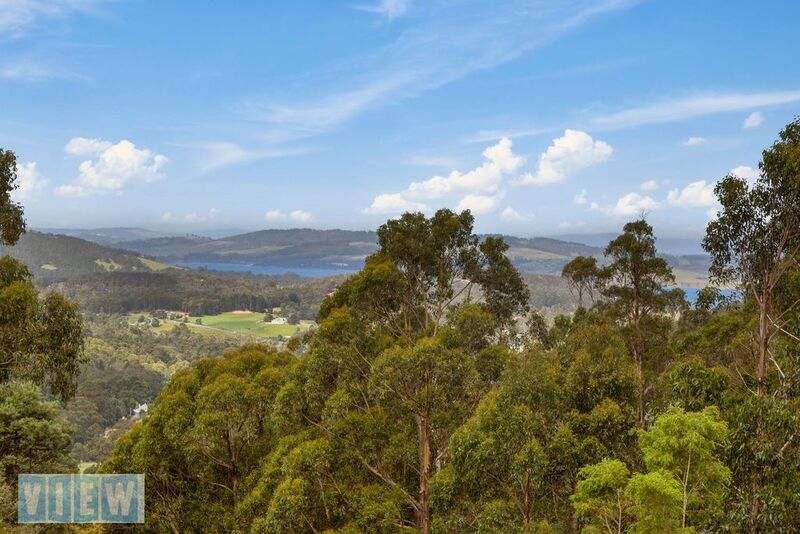 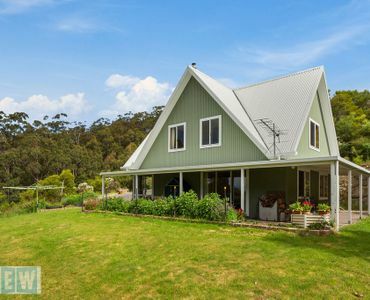 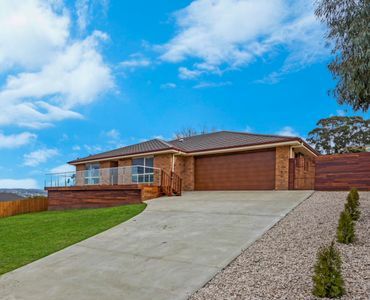 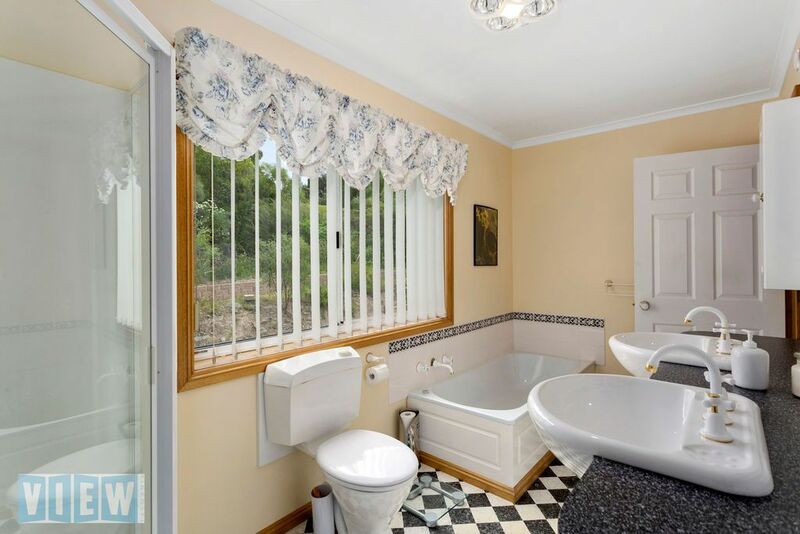 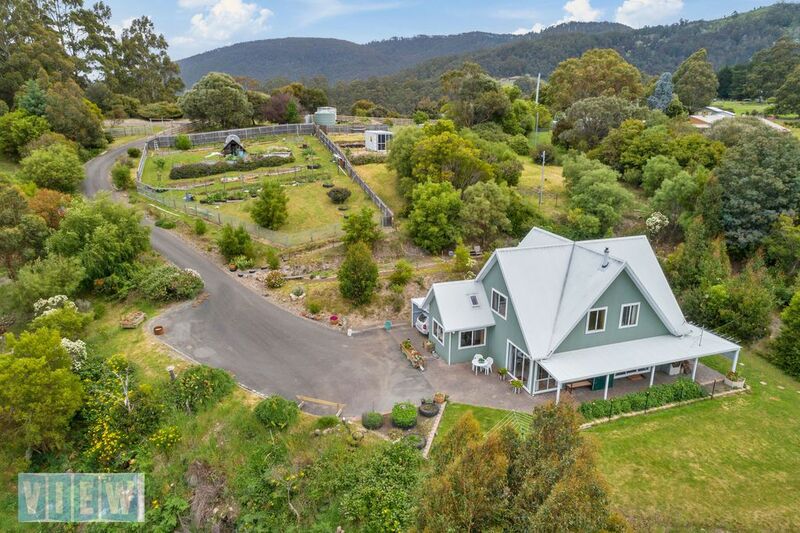 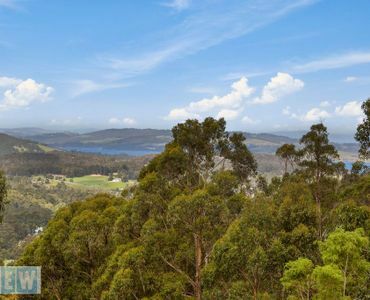 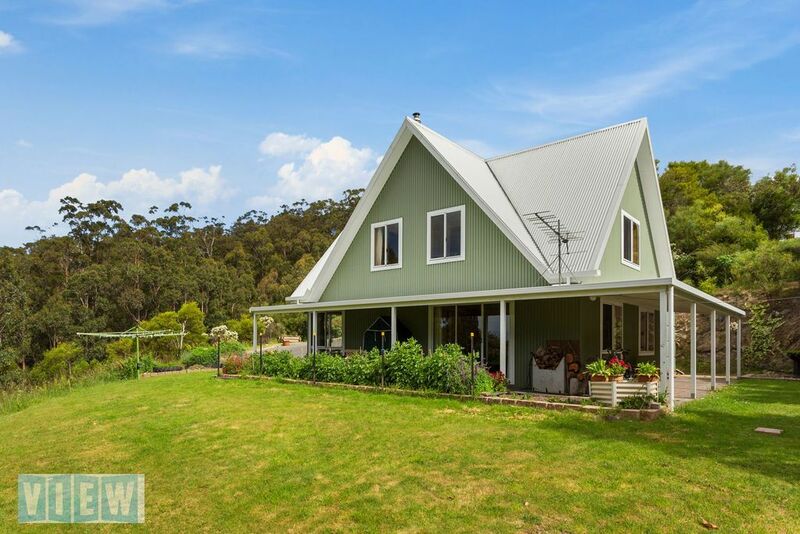 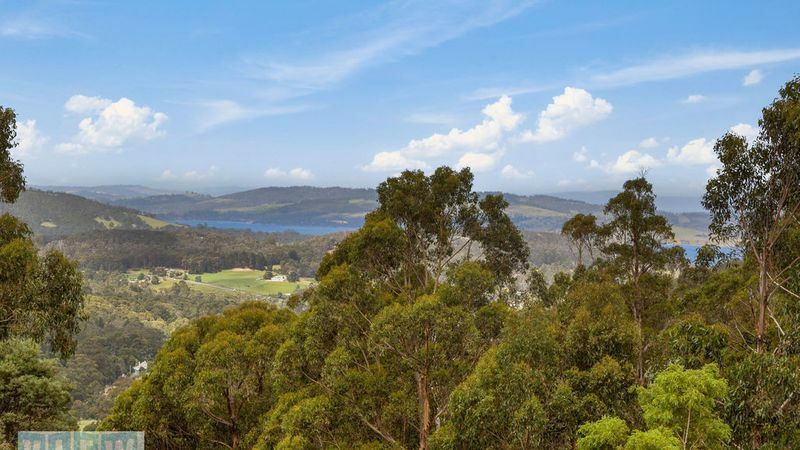 View Australia – Country home on 11 acres with dual access. 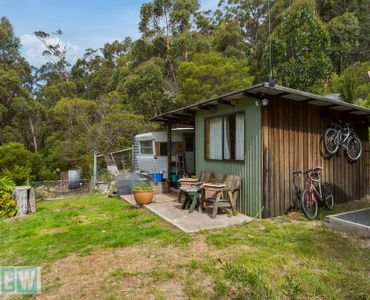 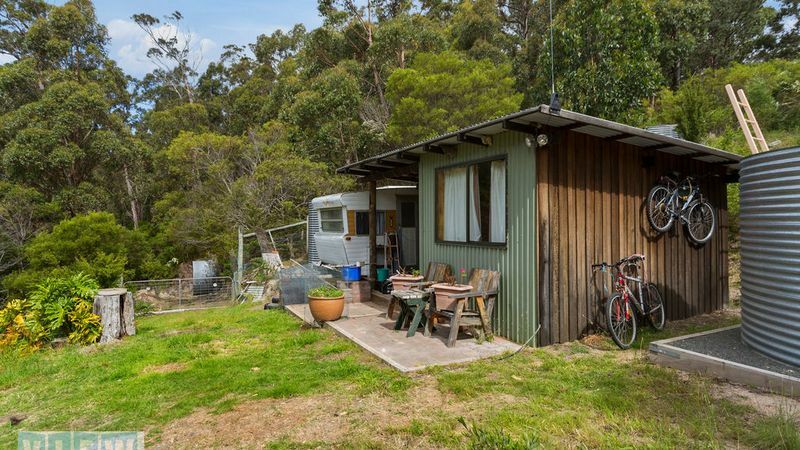 For those looking for the perfect hideaway whilst still being only twenty minutes from the Hobart CBD, this is it. 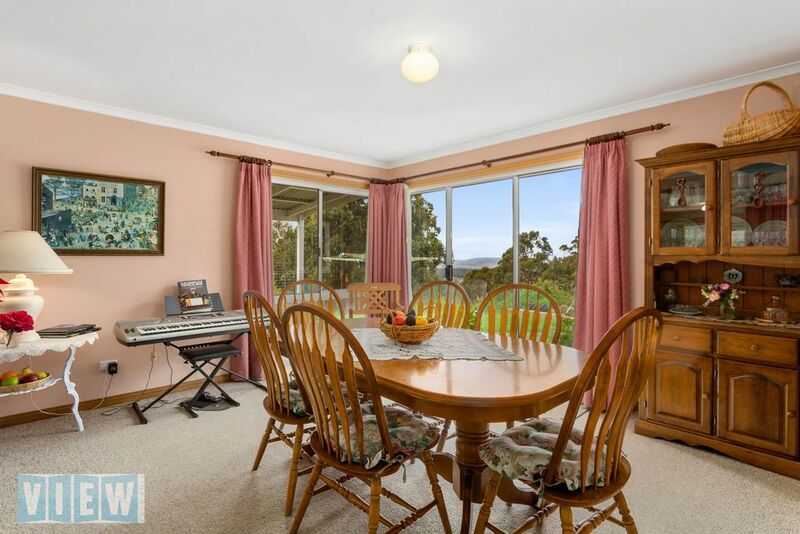 Thoughtfully designed and built with generously flowing rooms, the current owners have enjoyed this property for the past few decades. 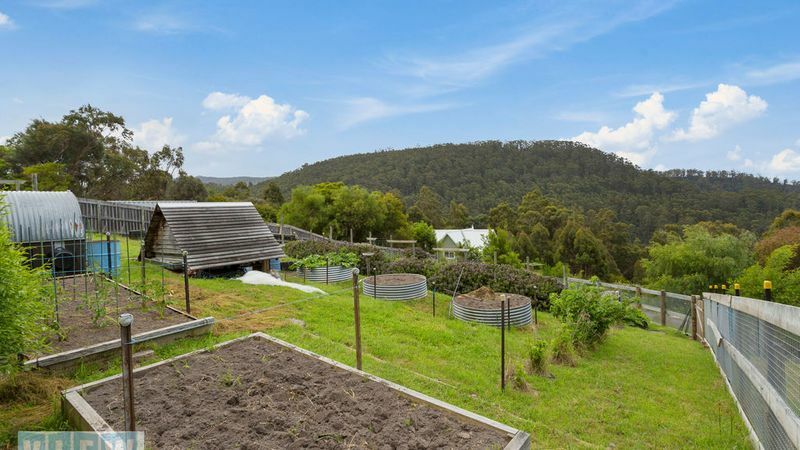 They have carefully created many spaces around the home from which to enjoy the views, birdlife, wildlife whilst being self sufficient from growing an abundance of food from the substantial veggie beds. 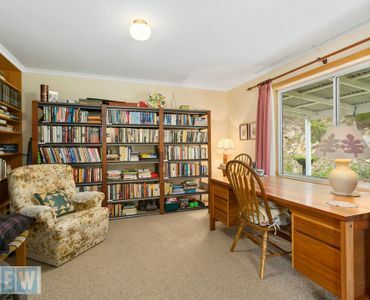 There is potential to earn an income from home in a pristine environment. 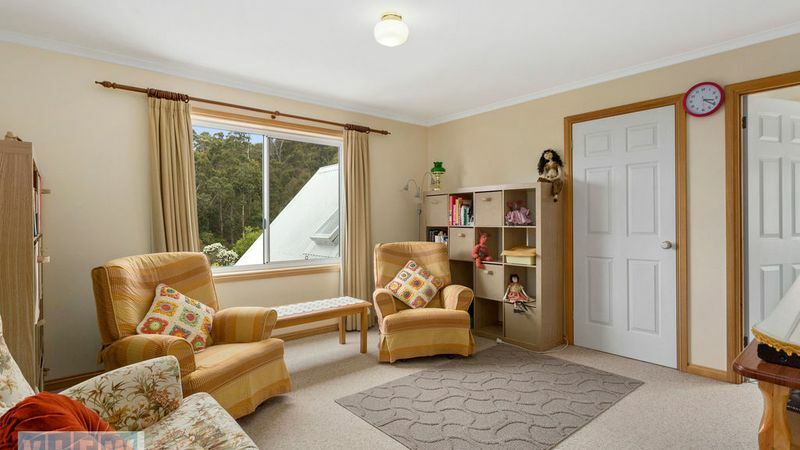 The house benefits from natural sunlight being open plan with spacious rooms both upstairs and down. 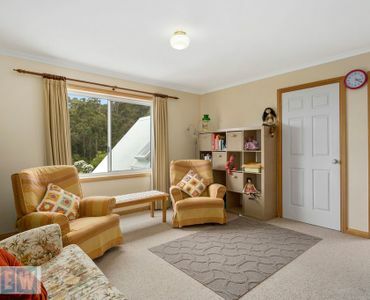 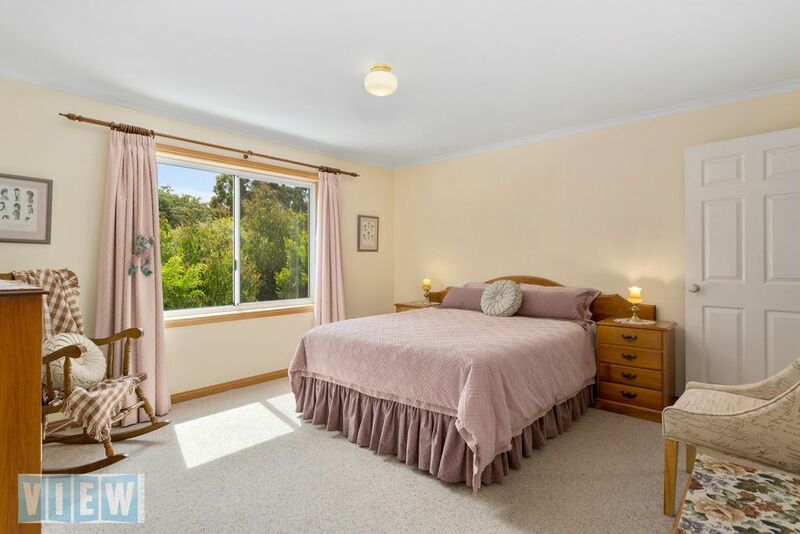 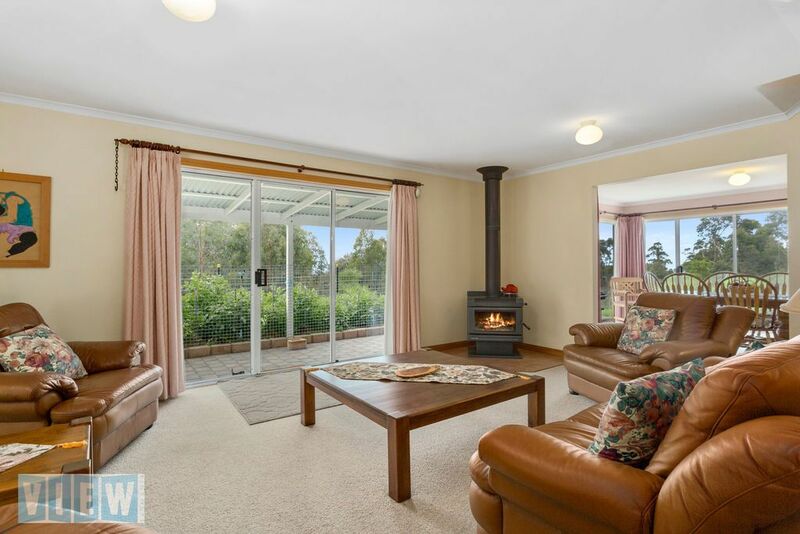 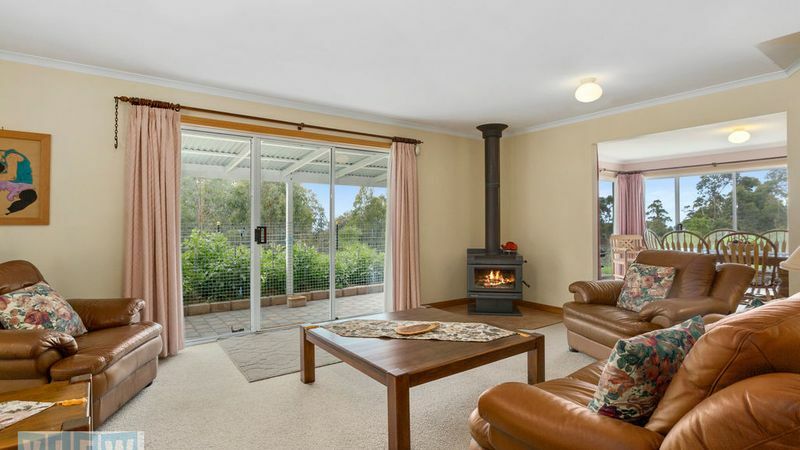 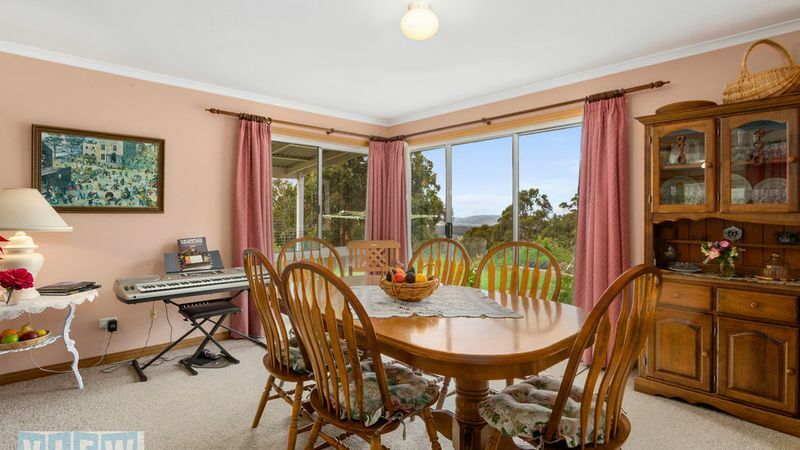 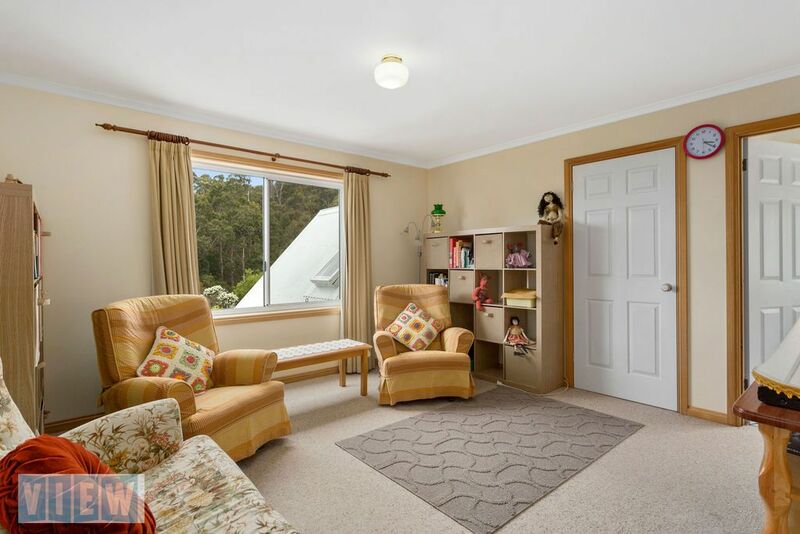 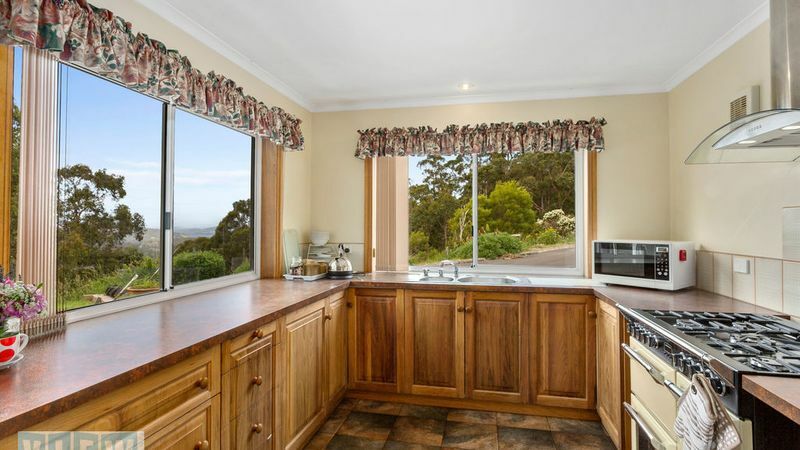 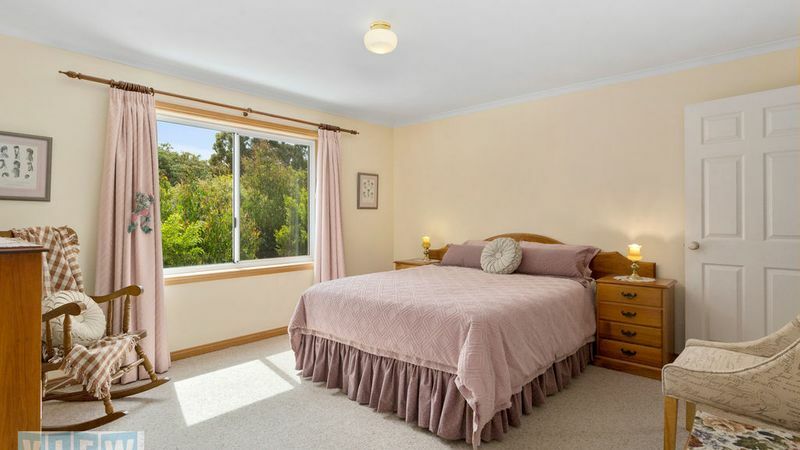 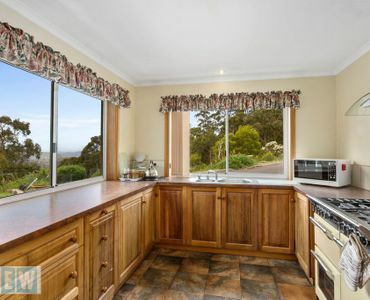 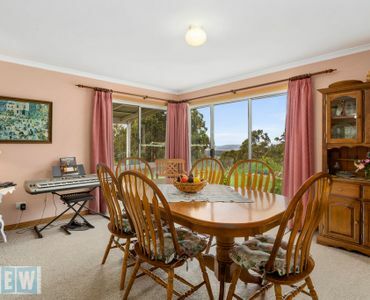 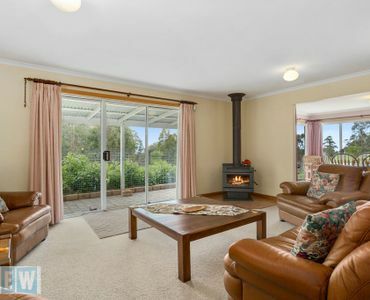 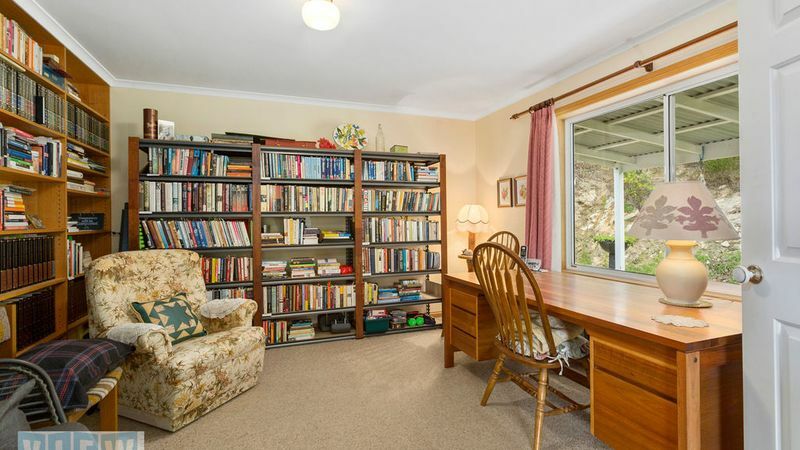 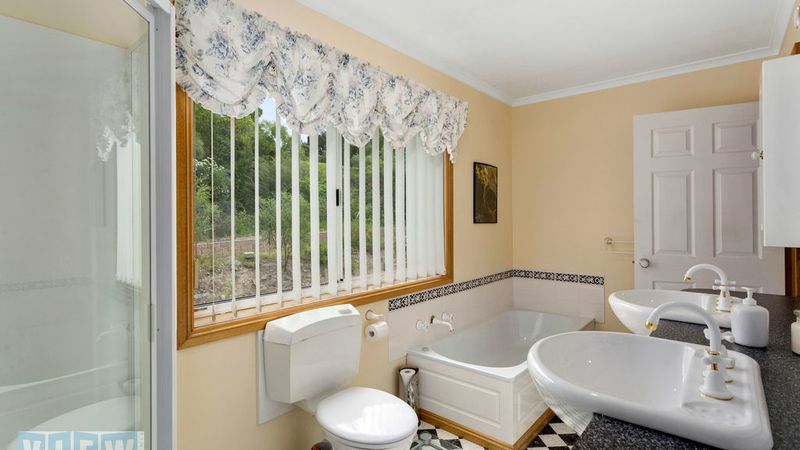 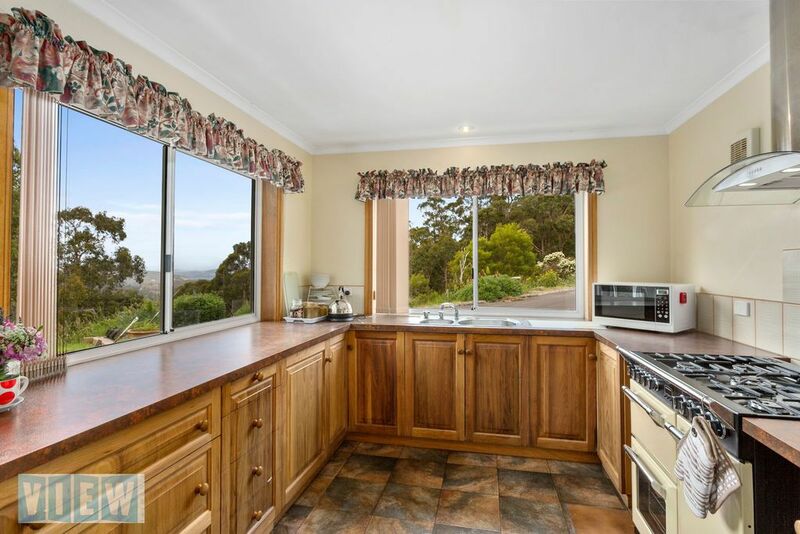 Each window frames its own view of the Channel, Bruny Island and surrounding native bush. 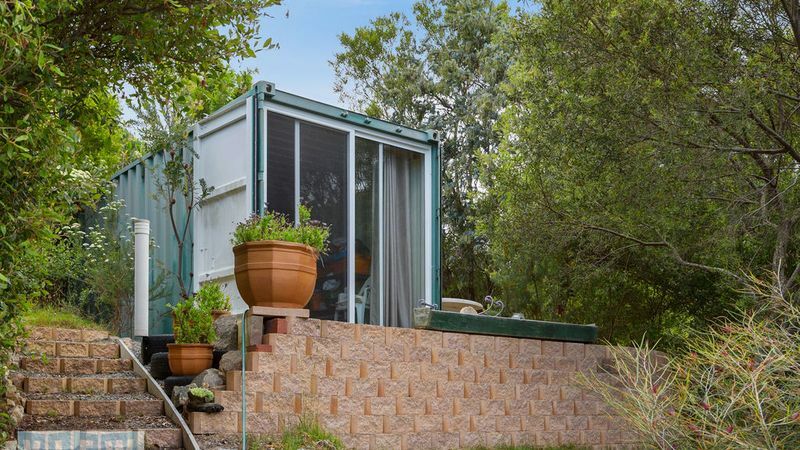 The wrap around verandah accessed via triple sliding doors, provides for many spaces from which to relax and take in the serenity. 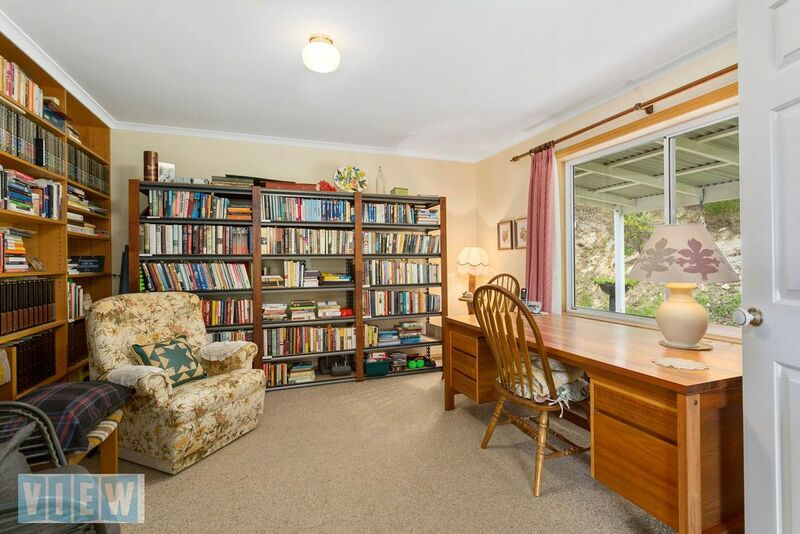 The home is extremely low maintenance both inside and out. 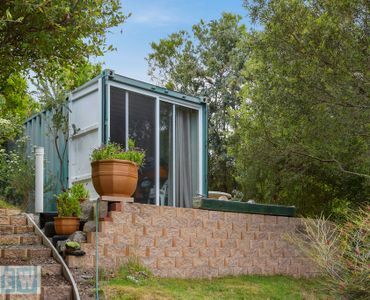 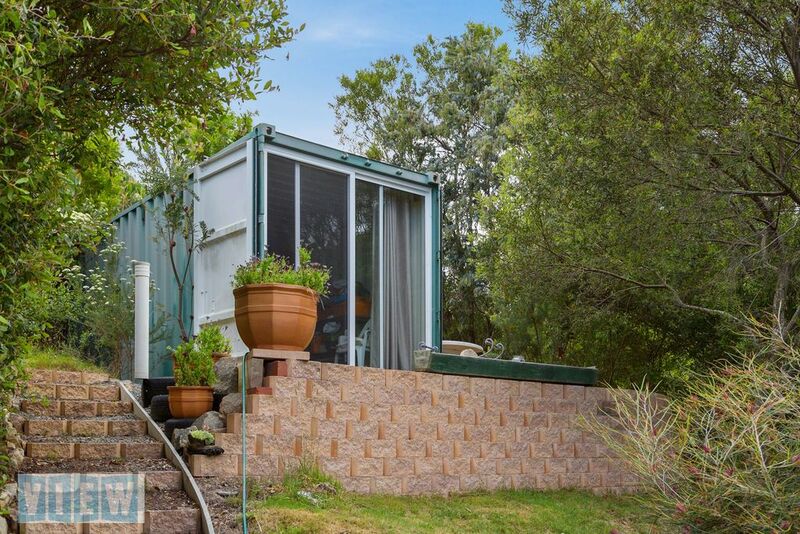 The land has been carefully cleared in some areas to make clever spaces including several converted shipping containers currently utilised as a sewing room and workshop or these could easily accommodate other uses. 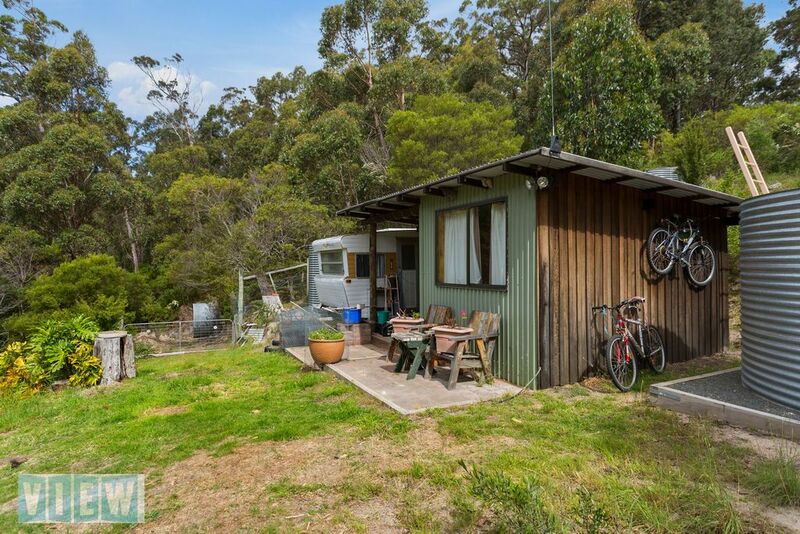 Other outbuildings add to the total offering plus there is more than adequate car parking at house level. 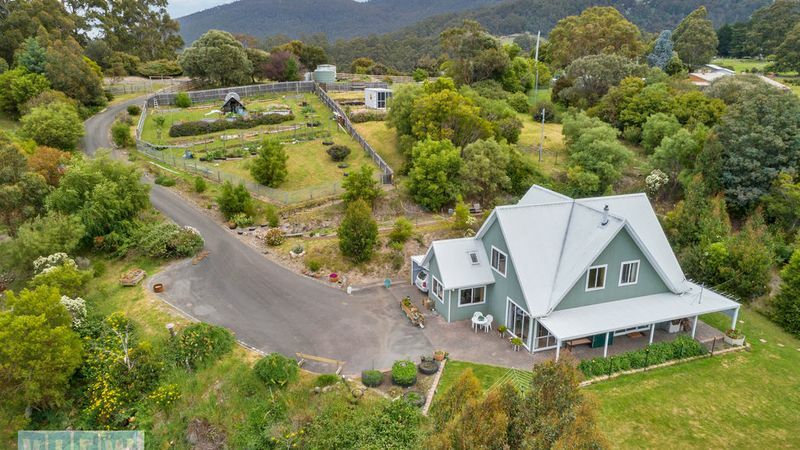 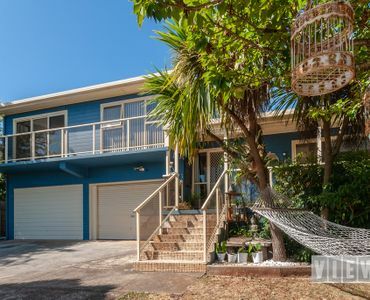 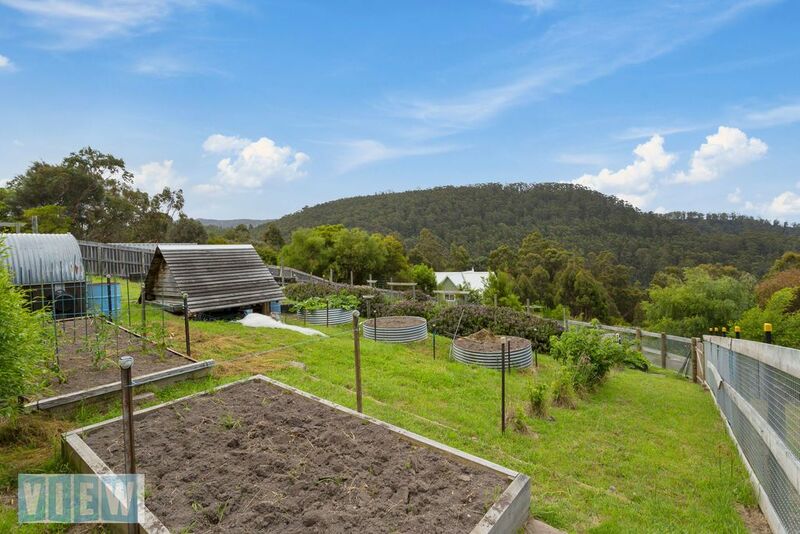 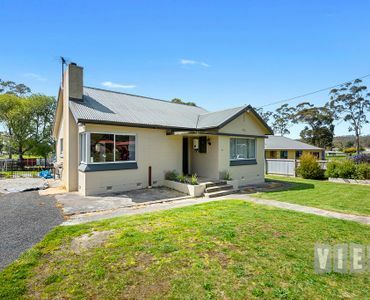 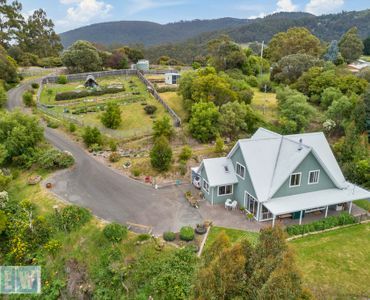 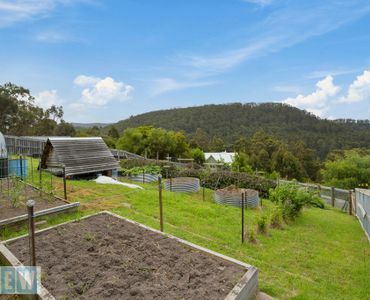 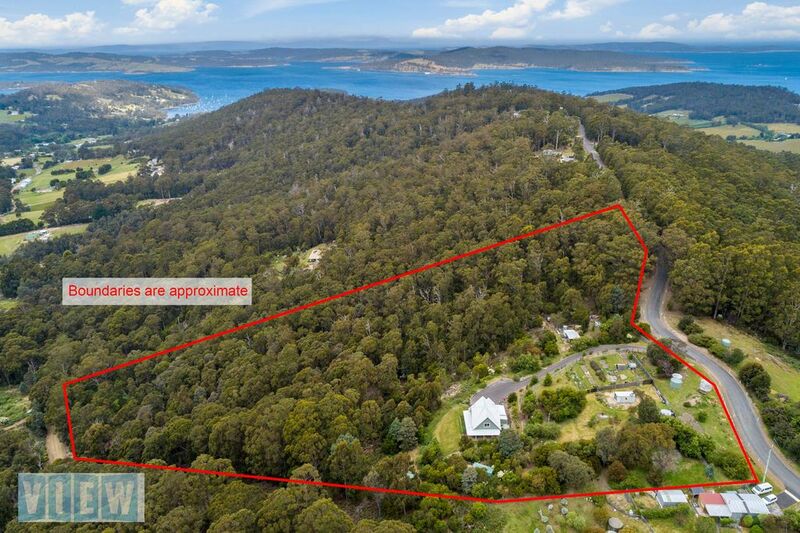 The large allotment which contains some 4.5 hectares / 11 acres includes some cleared spaces around the home with the remainder being natural bush. 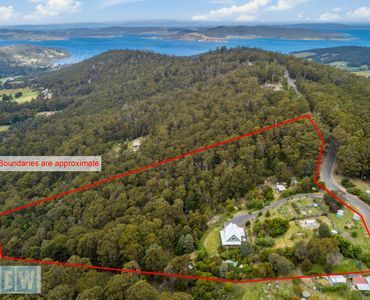 A second access from Saddle Road offers future potential development of subdivision STCA, a feature not to be discounted. 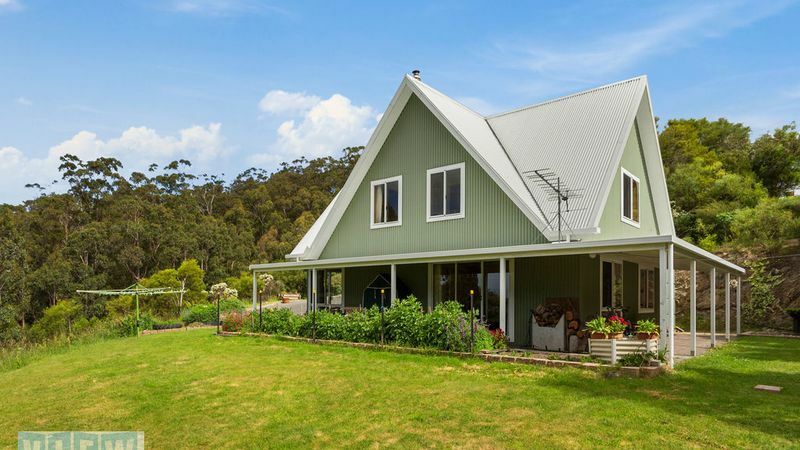 Whilst being a peaceful and quiet location, the Bruny Island Ferry Terminal, Oyster Cove Inn and local shop / service station are only a few minutes drive away. 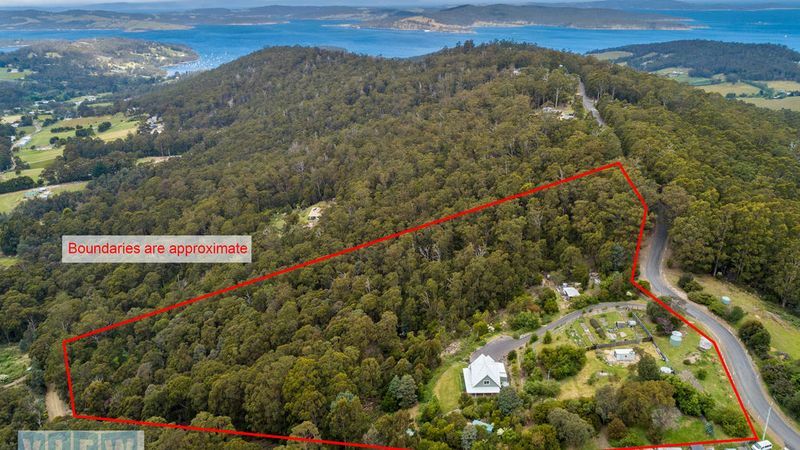 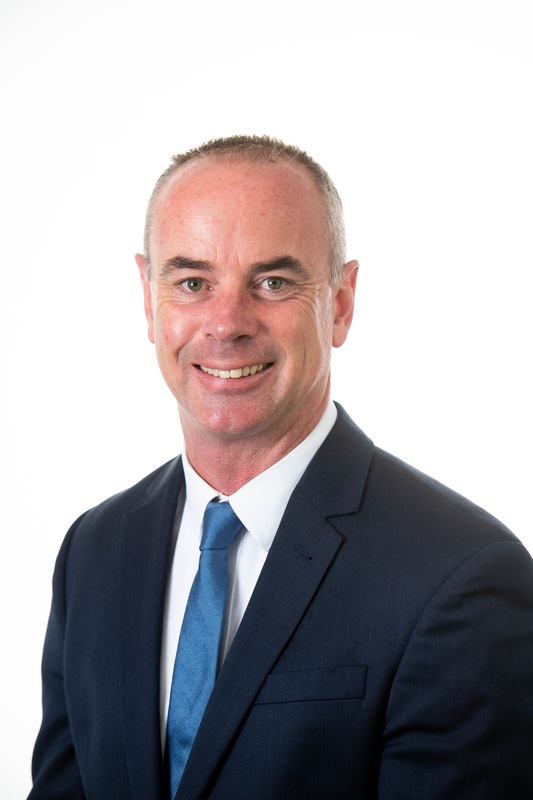 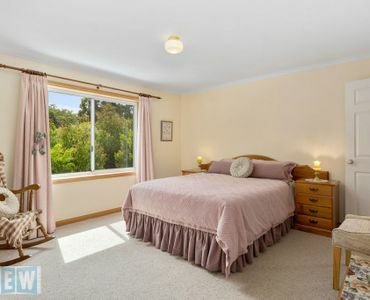 The property is privately hidden from the road and there are many, many other features too numerous to list here which need to be viewed to be appreciated therefore book an inspection today.